"GREENSBORO, NC (August 23, 2016) – A High Point man is facing charges connected with an armed robbery and shooting that occurred at a car wash on Phoenix Dr. the morning of Aug. 10. 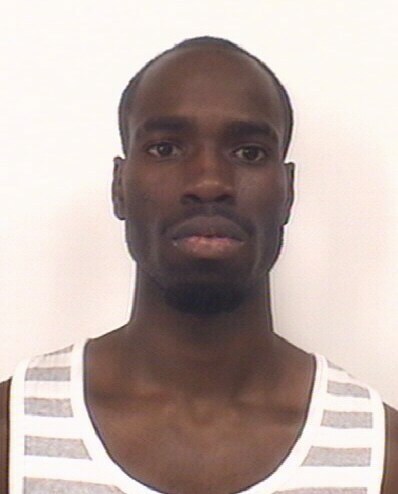 Rachad Lamar Robinson, 22, of High Point was charged with Robbery with a Dangerous Weapon, Assault with a Deadly Weapon Inflicting Serious Injury, and Possession of a Firearm by a Convicted Felon today while confined in the Greensboro Jail Central for unrelated offenses. Police were dispatched the car wash near Bob’s Convenient Mart at 2620 Phoenix Dr. at approximately 9:16 am that Wednesday after a patron called 911 to report the incident. Upon arrival, police found Leroy Carter, 50, applying pressure to a gunshot wound to his right thigh. Carter told officers he was washing his car when he was approached by a tall, slim black male who demanded his money, shot him, and then took his wallet. Images from the business’s surveillance camera were included as part of a Crime Stoppers release and further distributed through media outlets. Tips from viewers assisted investigators in linking Robinson to the incident. Robinson remains incarcerated under a $300,000 secured bond associated with these charges. Carter has since been released from the hospital."